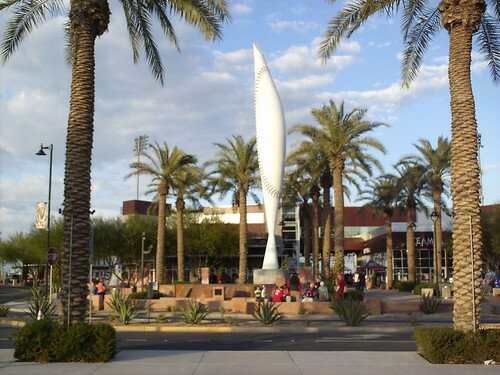 The view from behind home plate at Goodyear Ballpark. 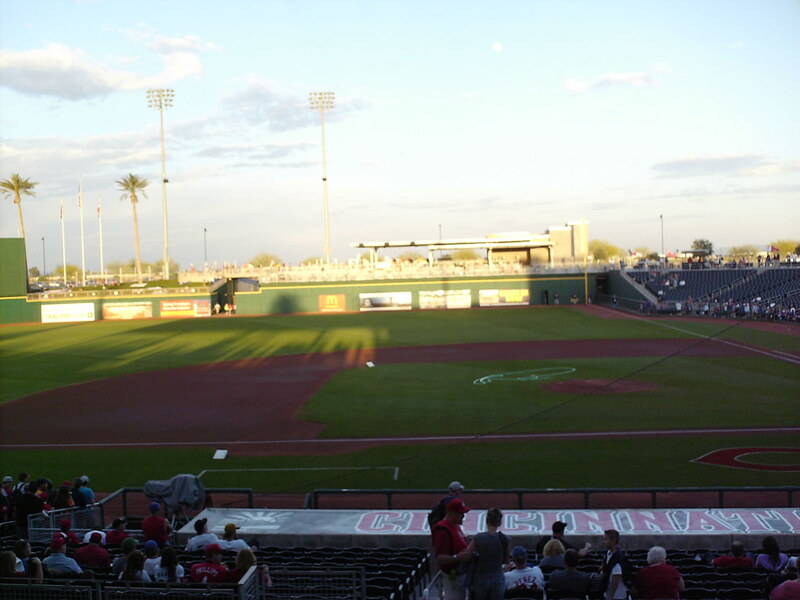 The view from down the first base line, looking over the Indians dugout. 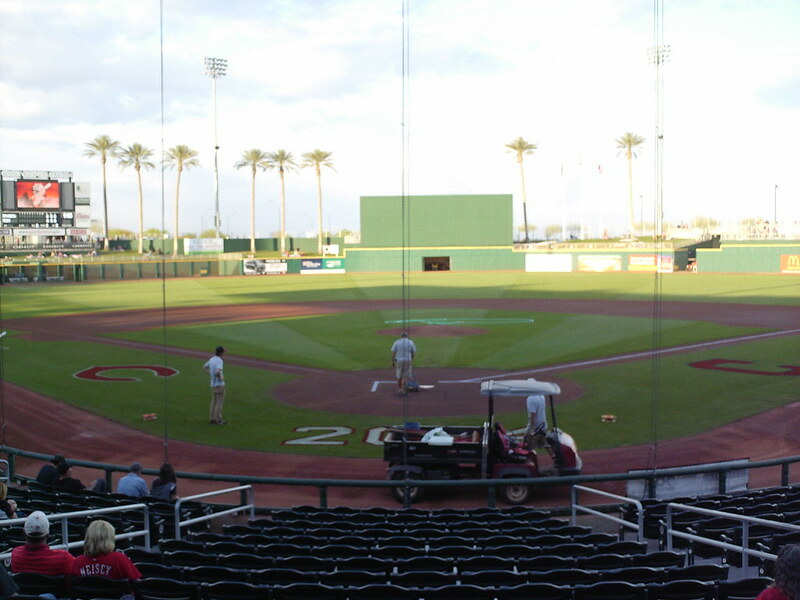 The view from down the third base line, looking out over the Reds dugout. 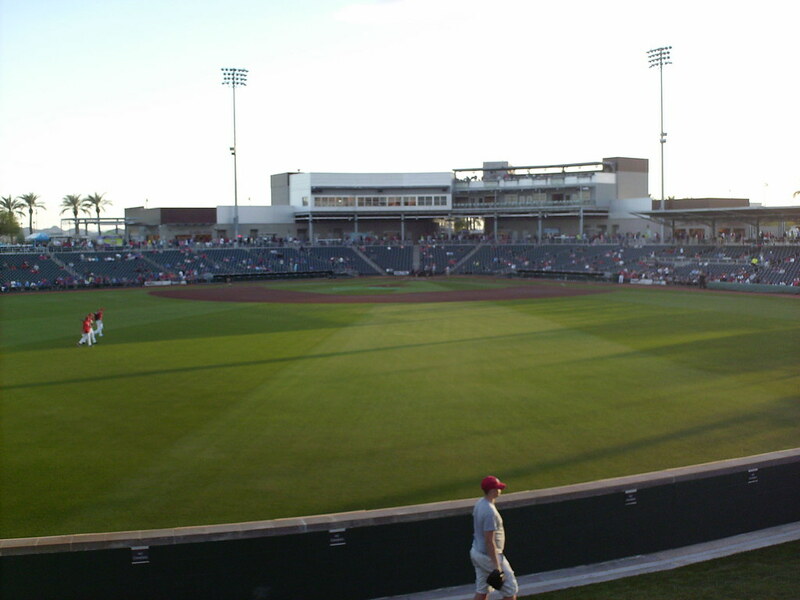 The grandstand at Goodyear Ballpark, as seen from center field. 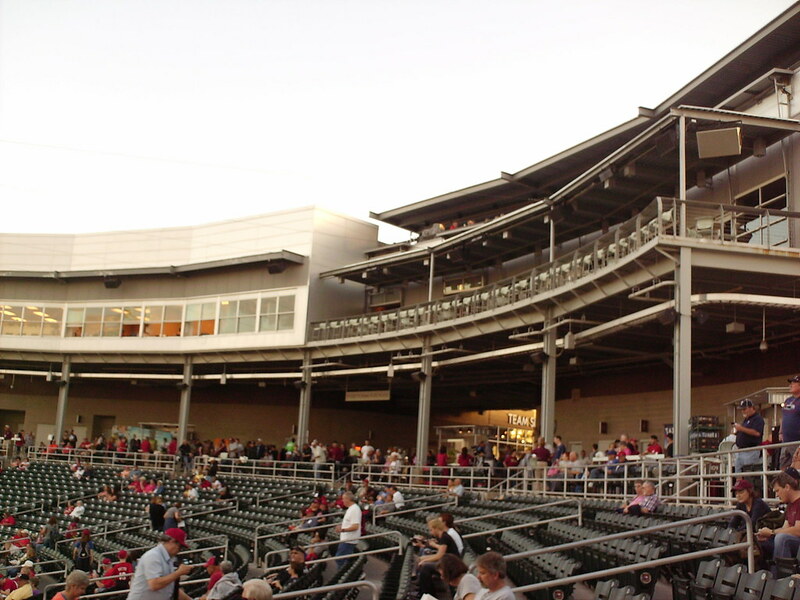 The stadium structure behind home plate features the pressbox to the first base side, and the suites and rooftop party terrace on the third base side. 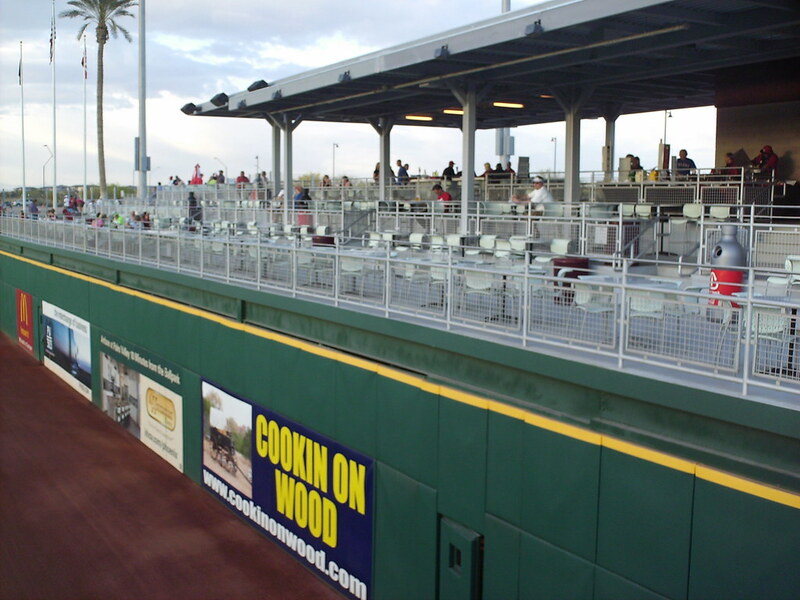 A covered group party area overlooks the field from atop the right field fence. 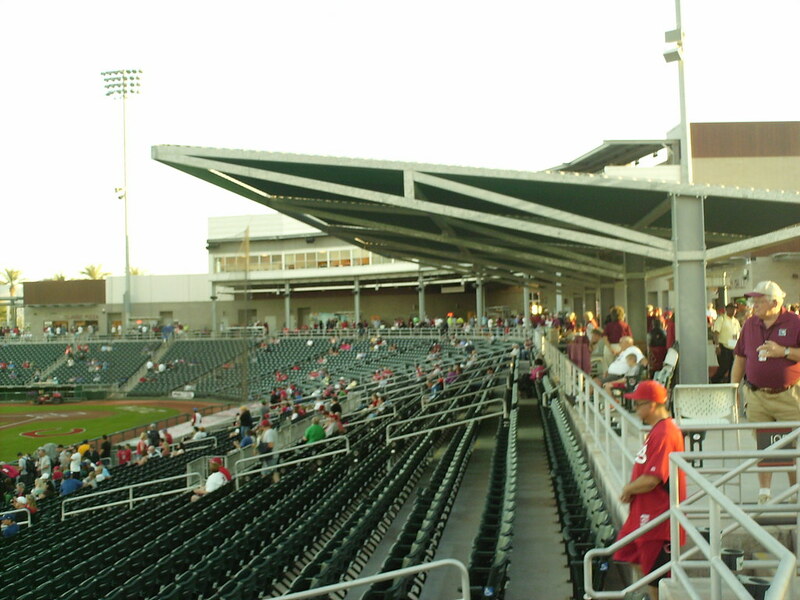 A sun shade extends over a section of seating along the third base line, providing a small area of shade in an otherwise open seating bowl. 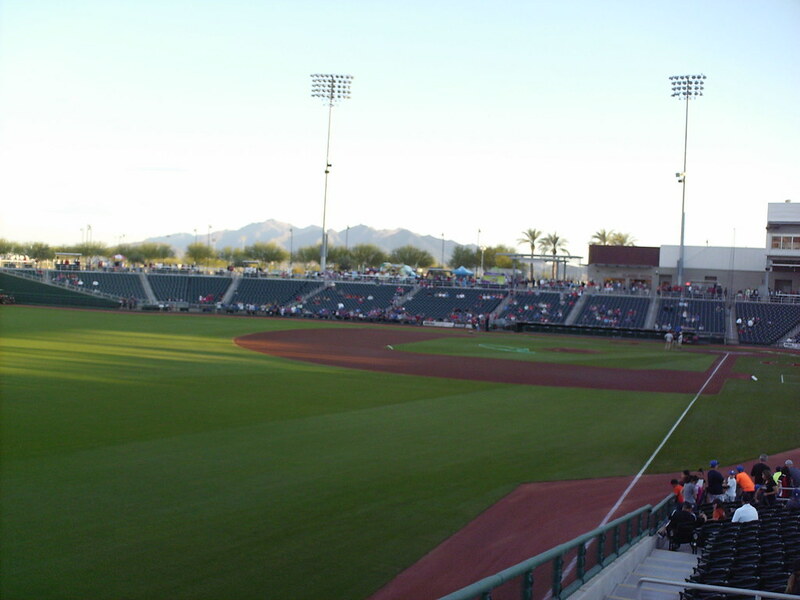 The view of the surrounding mountains from the left field corner of the park. 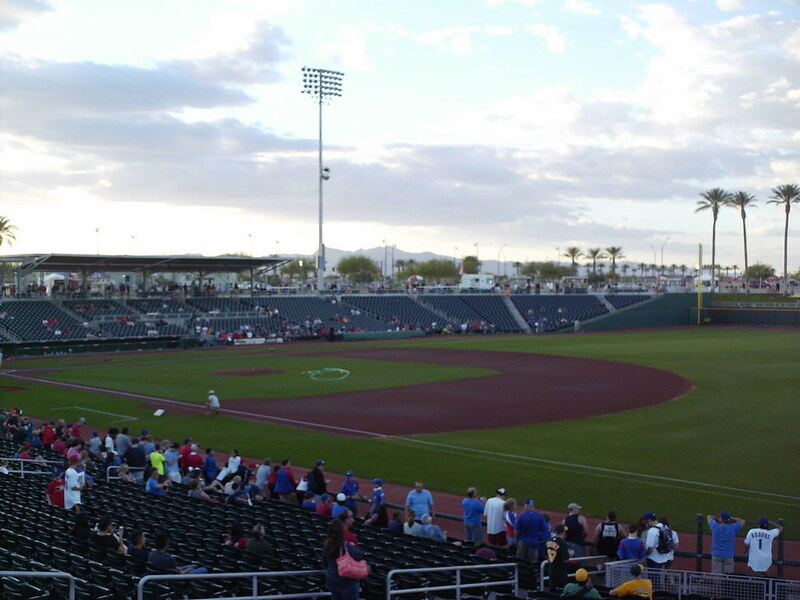 The seating bowl wraps around to the foul poles at the corners, and mountains are visible from the right field corner as well. 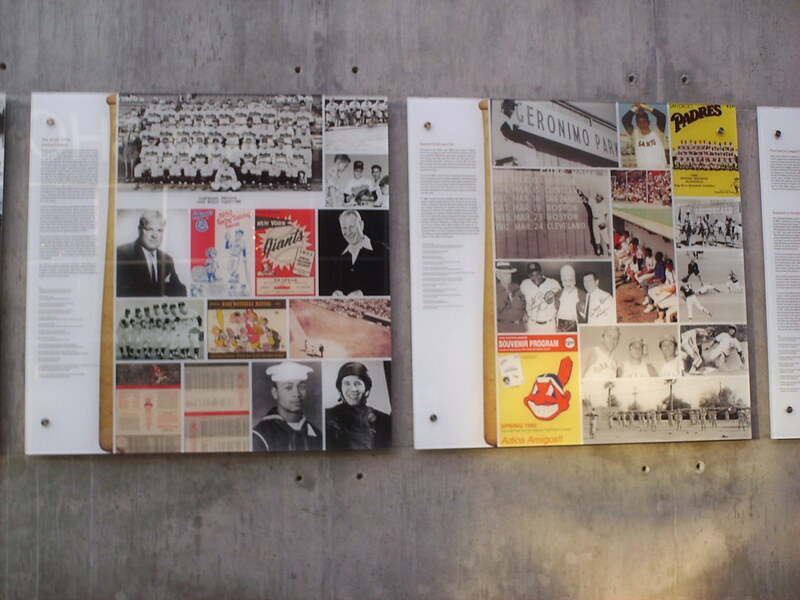 Plaques along the concourse celebrate the history of Cactus League baseball. 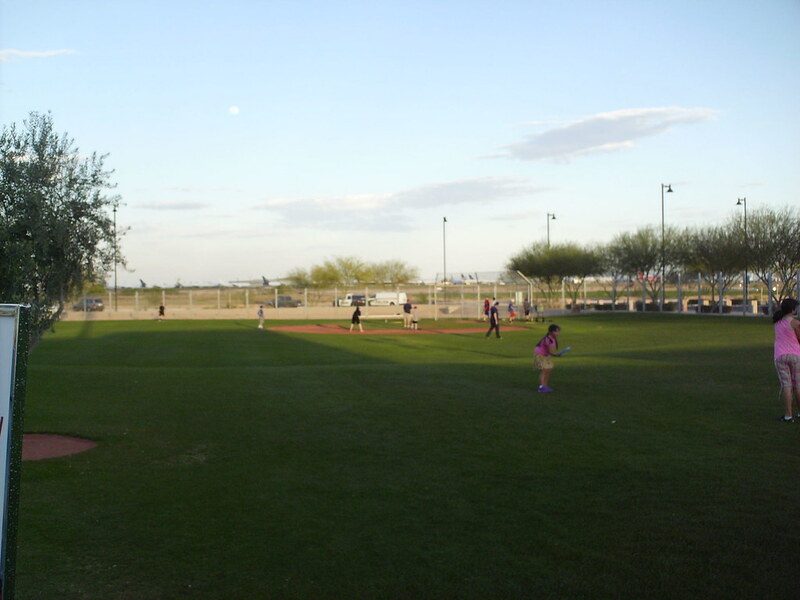 A wiffle ball field sits behind the outfield concourse, part of a large open park area for fans to gather. 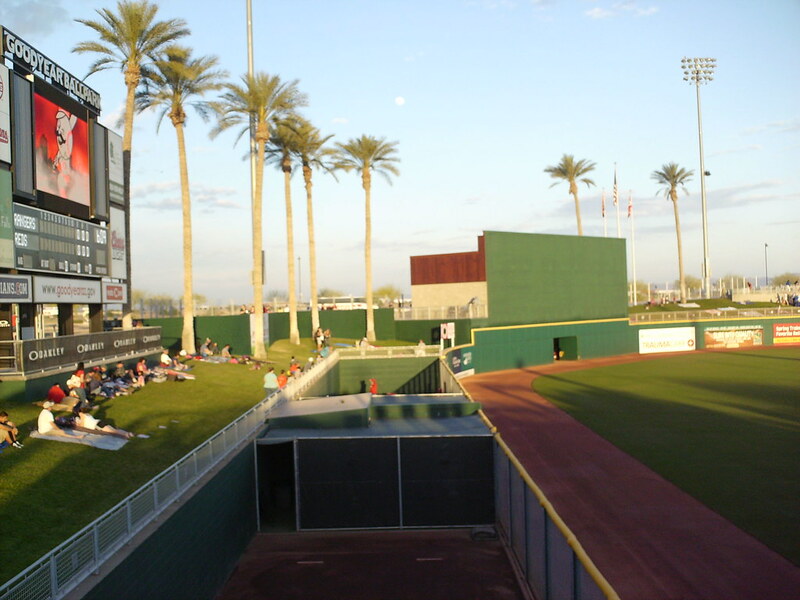 The scoreboard in right field, overlooking the bullpens and a small berm. 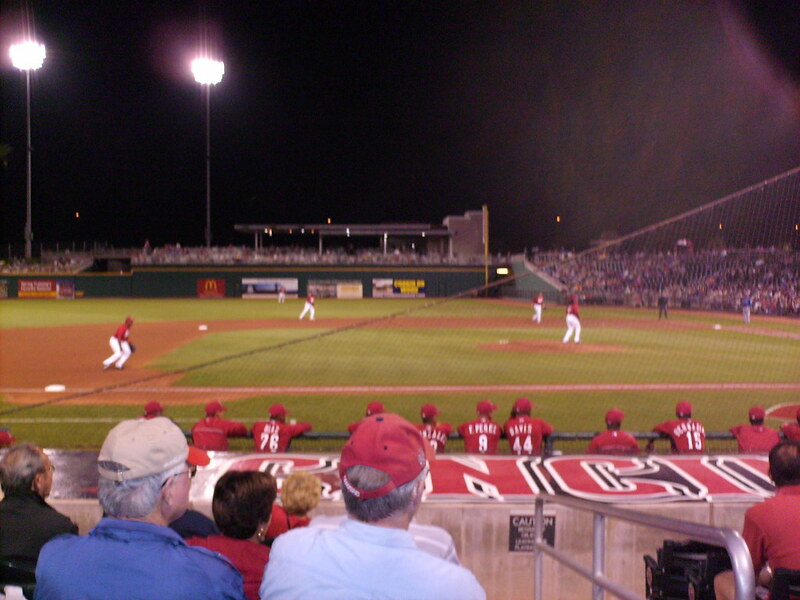 The outfield fence as seen from the center field berm. 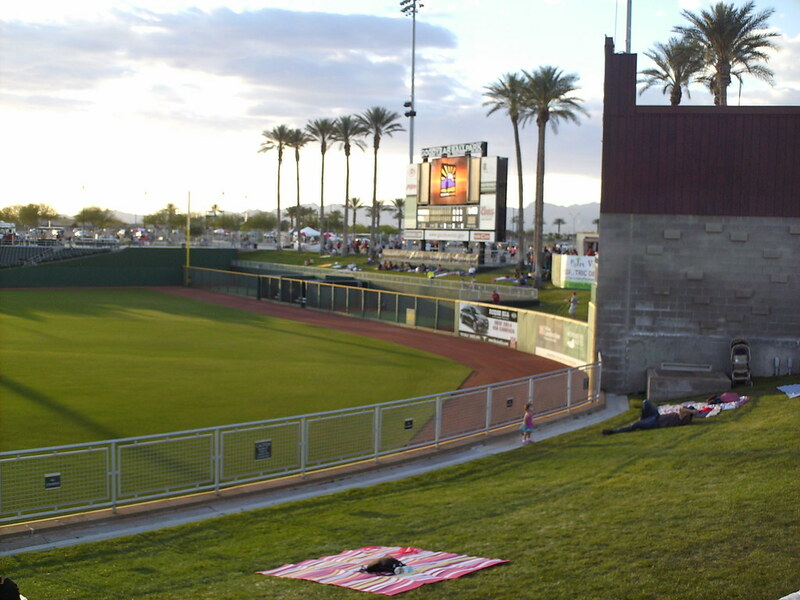 The fence runs a fairly uniform curve around the outfield. 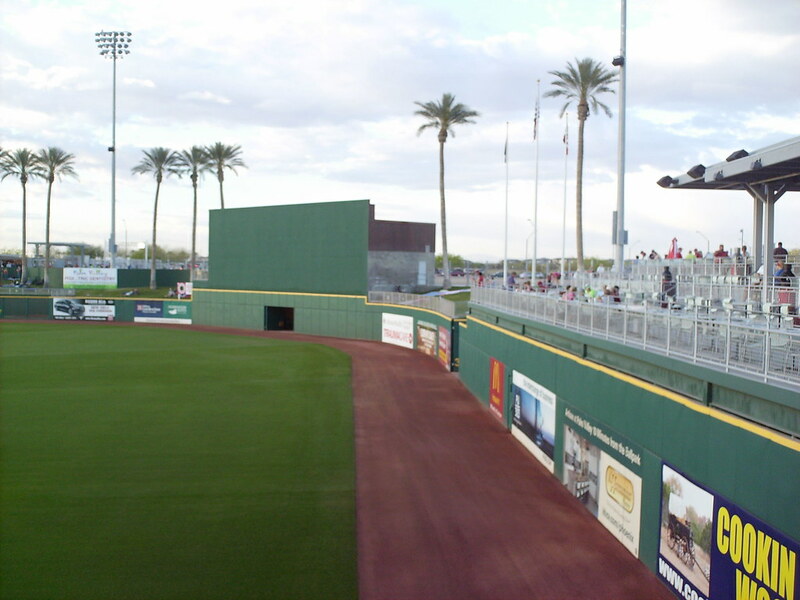 The outfield fence rises in height at the left field edge of the batter's eye before dipping slightly and then rising back up in front of the party deck. 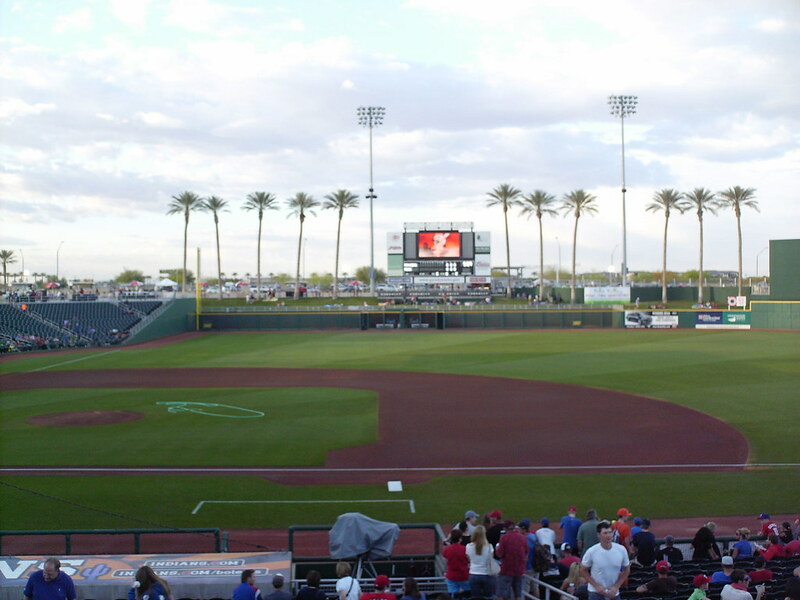 The Cincinnati Reds on the field during a Spring Training game at Goodyear Ballpark.